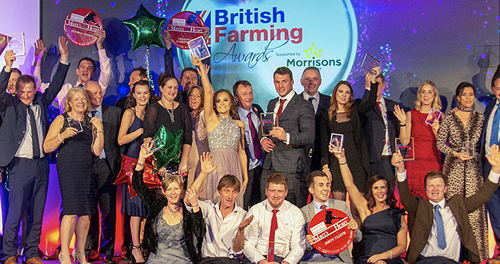 The search to find UK food and farming’s unsung heroes launched today as the British Farming Awards 2019 opens for entries. "With so much change and uncertainty characterising the current era of agriculture, the British Farming Awards are a timely celebration of the innovation and skill at the heart of the farming industry. "Morrisons is the single biggest supermarket customer for British farmers, so we are proud to support the British Farming Awards. Our business model is based on buying direct from British farmers wherever possible and we believe this approach strengthens British agriculture and supports farming communities." To enter or nominate an individual who is doing an exceptional job and deserves recognition for their efforts, simply visit the British Farming Awards website to nominate or enter. The awards welcome individual entries but also nominations from friends, family or fellow professionals. The winners will be announced at an evening award ceremony on Thursday, October 17, 2019, at the National Conference Centre, Birmingham.